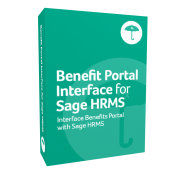 Streamline data transfer between Sage HRMS and a third- party benefit portal used to manage employee benefits, open enrollment, and life events. 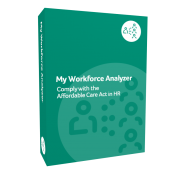 Stay compliant with the Affordable Care Act by using data from Sage HRMS or Abra Suite to track and analyze employee hourly data to determine employer size requirements. My Workforce Analyzer also determines coverage affordability, explores the pay-or-play options, and examines part-time and full-time eligibility requirements. 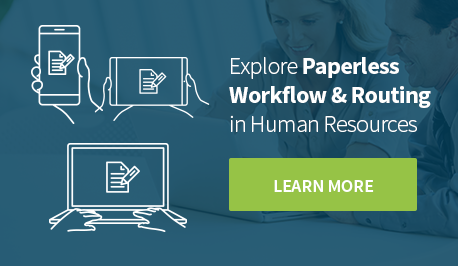 Solve complex HR and Payroll challenges using this comprehensive human resources management system. 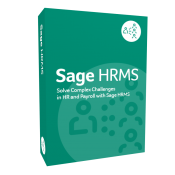 Sage HRMS is a configurable, modular software solution designed for small to midsize organizations that manages employee information, simplifies benefits administration, and meets compliance requirements. 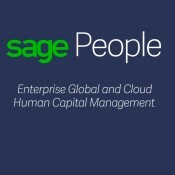 It can be scaled to meet an organization’s needs for every phase of the employee life cycle. 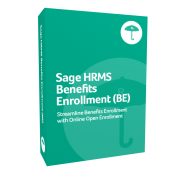 Move your benefits open enrollment process online with Sage HRMS Benefits Enrollment. No training is required for setup or for employees to make benefits elections through a single online portal. Eliminate paper forms, cut costs, and simplify benefits administration by securely automating the communication of employee benefits enrollment data to insurance carriers. Simplify the payroll process with this integrated system and manage in-house payroll while maintaining data like earnings and deductions, taxes, and more. 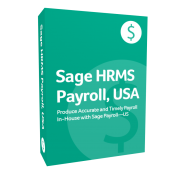 Help payroll professionals effectively manage earnings, deductions, taxes, and other employee data involved in processing payroll with Sage HRMS Payroll.